Flow batteries offer significant advantages over lithium-ion batteries. They have a much longer lifespan, can be fully discharged and recharged many thousand of times without damage, and have no danger of explosion or fire due to overheating. They also tend to be heavy and bulky, which makes them unsuitable for use in automotive applications. Known to the scientific community as redox (reduction oxidation) batteries, they involve two tanks of liquid — one positively charged and one negatively charged — separated by a membrane which allows electrons to pass between the two tanks but not molecules. In the right setting, they can store prodigious amounts of electricity safely and inexpensively. German utility company EWE says it is planning to build the world’s largest battery based on flow technology in a pair of salt caves currently used to store natural gas. Taken together, the caves have a volume of 3.5 million cubic feet — enough to store up to 700 megawatt-hours of electricity with an output capacity of 12o megawatts, according to Digital Trends. To put that into perspective, a battery with that much capacity could meet the electrical energy needs of the city of Berlin for an hour or 75,000 homes for a day. “We need to carry out some more tests and clarify several issues before we can use the storage principle indicated by the University of Jena in underground caverns. However, I expect that we will have an operating cavern battery by about the end of 2023,” says Ralf Riekenberg, head of the project, which has been named brine4power. Grid-scale battery storage is less about operating homes or cities for hours or days and more about balancing out the flow of renewable energy during the course of a typical day. Sometimes the sun shines; sometimes it doesn’t. Sometimes the wind blows; sometimes it doesn’t. Grid storage makes it possible for utilities to better plan for the needs of their customers at all times. Traditionally, there is baseload power — often from coal or nuclear facilities. Baseload power doesn’t vary much during a typical day. But there are times when more power is needed. That’s when so-called peaker plants — typically powered by natural gas — get switched on. Firing up a peaker plant costs money and they do not come online instantaneously. A battery, on the other hand, can react in seconds and costs nothing to activate. Once built, it also has no ongoing fuel costs. That makes battery storage attractive to utilities that are focused on maximizing net revenues. Grid storage also protects against blackouts when some of those “baseload” power plants mentioned above unexpectedly goes down. When the new brine4power venture is completed in 2023, it is not guaranteed to be a commercial success, of course. Earlier this year, Aquion Power, which specialized in flow battery technology and was supported financially by Bill Gates, filed for bankruptcy. NanoFlowcell is an electric car car startup that touts flow battery technology but it has yet to begin selling cars, despite some very appealing concept designs. Energy storage is a hot topic around the world. Elon Musk has just inked a deal to install the world’s largest lithium-ion battery storage facility in South Australia. Pumped hydro storage is still a popular choice in areas where the terrain makes it feasible. There is even a plan to build a train that carries freight cars filled with concrete blocks up a mountain in Nevada during the day and generates electricity as it slides back down the mountain at night. Will the EWE plan be commercially viable? “We’ll see,” said the Zen master. good article, but a few scientific mistakes. The membrane does not allow electrons to get through but just some specific ions like H+ . The tanks are not negatively and positively charged but contain components (ions or molecules) at different oxidation levels. Yes, this is complicated, but we should not simplify it that much that it is wrong. Also Aquion Energy did not specialise in flow battery technology. Their technology was using salt water electrolyte in traditionally operating battery ie. anode, cathode with electrolyte. Jena, Germany is a hotbed of technology and scientific research into all things RE. No surprise that this latest idea is getting legs. Elon Musk has just inked a deal to install the world’s largest lithium-ion battery storage facility in South Australia. Did I mention that’s too small? never mind South Australia’s 1,600 MW total wind capacity. Oh I did mention that already. Hooray! Feasible, as per here, for example. Although Nevada is a bit short of water for pumped-storage hydro, there’s a decent supply of sea-water available not 200 miles away in the Pacific Ocean, if California would oblige. 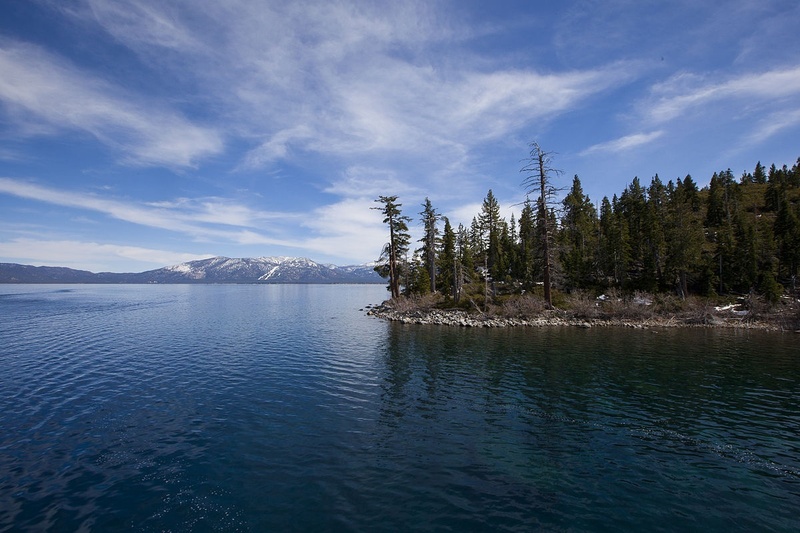 To calculate the hydro-electric gravitational potential energy of the water in Lake Tahoe, which could serve as the upper reservoir for pumped-storage hydro schemes. All that is needed is a few days energy storage. Where is your lower storage? Well consider something like Folsom Lake. It’s a small lake in California about 60 miles west-south-west of Lake Tahoe at an elevation of 466 feet, 142 metres (reducing the height differential to about 1600 metres), volume 1.2 km3 or 0.8% of Lake Tahoe, representing an energy storage potential of about 1600/1747 x 0.8% or about 0.7% x 714 TWh = 5.23 TWh, which is only half a days of the US’s energy consumption but California’s and Nevada’s annual electricity consumption is about 300 TWh, so 5.23 TWh represents 6.36 days of energy consumption for both states, which is plenty. So a lake about the size of Lake Folsom, in about the same location at about the same elevation would offer a good solution for California’s and Nevada’s energy storage needs for transition to 100% renewable energy. Assuming I got my sums right of course. 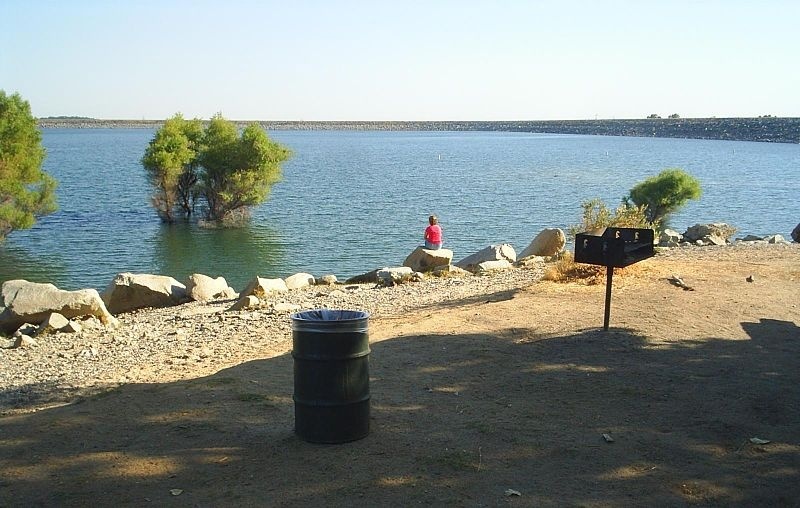 Folsom lake and the surrounding Folsom Lake State Recreation Area is one of the most visited parks in the California Park system. relieve winter storm runoff and snow melt from the Sierra. precipitation, downstream flows and fishery needs. Seems like the lake is already in use. To get the water into the watershed the 12km tunnel alone will cost 800 million. I think either yours or my sums are off. If you dam the valley at 1600m that leads to Folsom lake. 2km*2km / 2 * 200m = Rough calculation of volume. 2km*2km / 2 * 200m / 1m^3 * 3 * .272kwh / 5.23 TWh * 365 = 22 days. Water in Lake Folsom is also utilized for … power generation throughout the year. …. Seems like the lake is already in use. So more of the same use – power generation. There is an alternative to building such a tunnel to Lake Tahoe – building new / enlarged upper reservoirs within the watershed for Folsom Lake, not using Lake Tahoe as the upper reservoir. One of those 2 alternatives would be the lower cost solution. I’m not for wasting money if there is a cheaper way. There are numerous valleys in the watershed for Folsom Lake and numerous locations and heights where new / bigger dams could be built to create numerous upper and intermediate height reservoirs. When I quoted “1600m” I wasn’t referring to an elevation for a dam but to a head, a difference in elevations. When I wrote “142 metres (reducing the height differential to about 1600 metres)” and “1600/1747” I was referring to the “1747m” as an elevation and if the lower reservoir is at an elevation of 142m, the water head for pumped-storage purposes is a calculated as difference between two elevations so you have to subtract one elevation from the other to calculate the head – 1747 – 142 = 1605m. So “1600” metres was my estimate for the head and the fraction 1600/1747 was the factor to multiply my first estimate of the energy storage potential of Lake Tahoe assuming the sea as the lower reservoir. What volume are you calculating and why? 5.23 TWh is the energy storage of the scheme, 300 TWh is the energy usage in one year – 365 days – of California and Nevada combined. 5.23/300 – 1.74% – is the fraction of the year of California and Nevada’s energy consumption which is stored in the scheme. 1.74% of 365 days is “6.36 days of energy consumption for both states, which is plenty”. Whilst that location – Upper Hell Hole could feature as one of many upper reservoirs for a Folsom Lake scheme or as a penultimate-upper reservoir for a Folsom Lake Lake Tahoe pumped-storage hydro scheme, using Hell Hole reservoir as a lowest reservoir for Lake Tahoe upper would not be worth the “12km” tunnel or equivalent mountain pipe overpass for a mere 300 metre head, which could be obtained without the intervening mountain obstacle in many other places. is your number of days of energy consumption for both states.